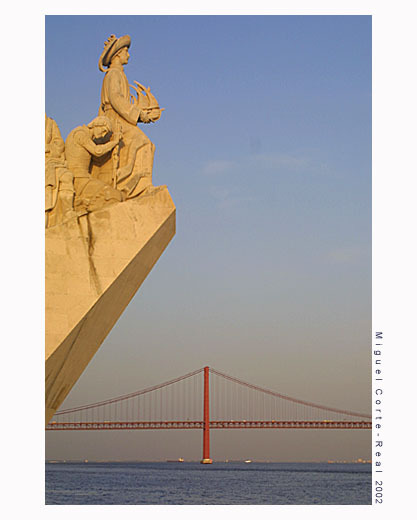 The `25 de Abril` bridge view from the discoveries monument, at sunset, in Lisbon. A very very good frame. Now this is PRETTY. Very good photograph. Congratulations, Miguel Corte-Real. Beautiful composition and color, Miguel ! Замечательное и смешное фото!! Интересная идея!! Remarkable and ridiculous photo!! Interesting idea!! Very interestin composition and point of view, Congratulation Miguel! Excellent composition ! Very well ! Muito bonitoe muito bem enquadrado.